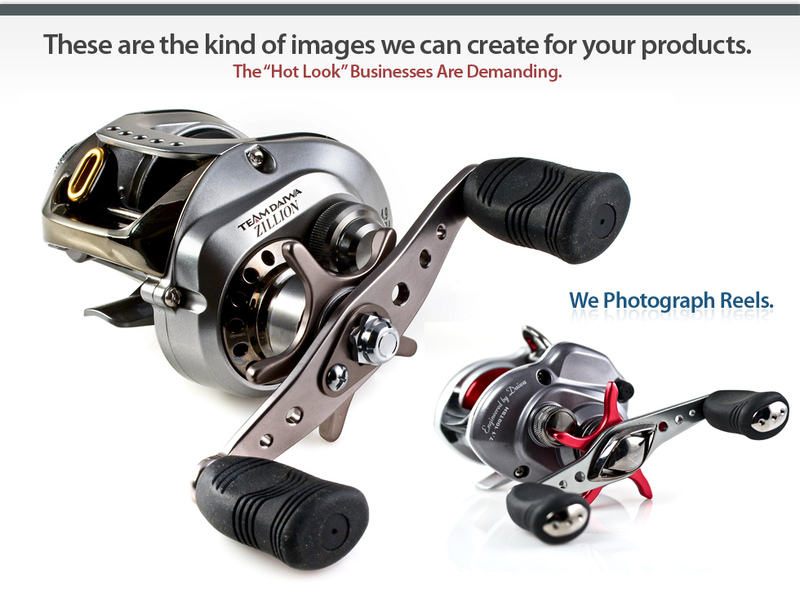 Fishing Product Photography : Lures, Reels, Rods, Tackle and more. You and I both know that fishing companies go out of business each day because they failed to stand out and create excitement around their products. They wonder why so many people visit their websites or view their catalogs but never place an order. The simple fact is, they didn’t show anglers something remarkable. No one reads anything anymore. We're all a bunch of ADHD candidates that surf the net doing nothing but looking at pictures and funny YouTube videos. If you're banking that your product descriptions will make the register go ka-ching, you're in for a rude-awakening. This is your special opportunity to leverage the power of exciting and remarkable imagery to excite your visitors and finally give them a reason to make a purchase. With our highly-detailed and super sharp product shots, you can convert more traffic into sales than ever before. 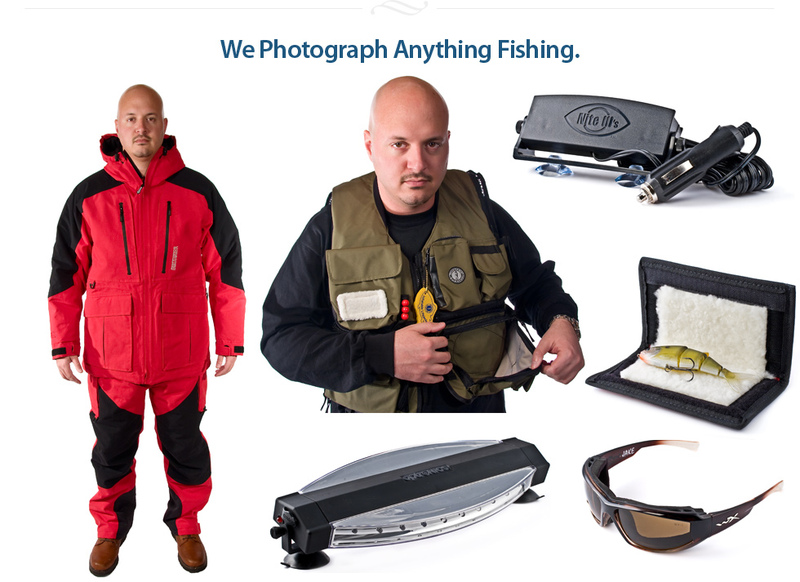 We have one of the largest photography portfolios in the fishing world. We shoot all the products featured in the acclaimed "Maximum Exposure". Click on the individual products in Maximum Exposure to see large, highly-detailed product shots. 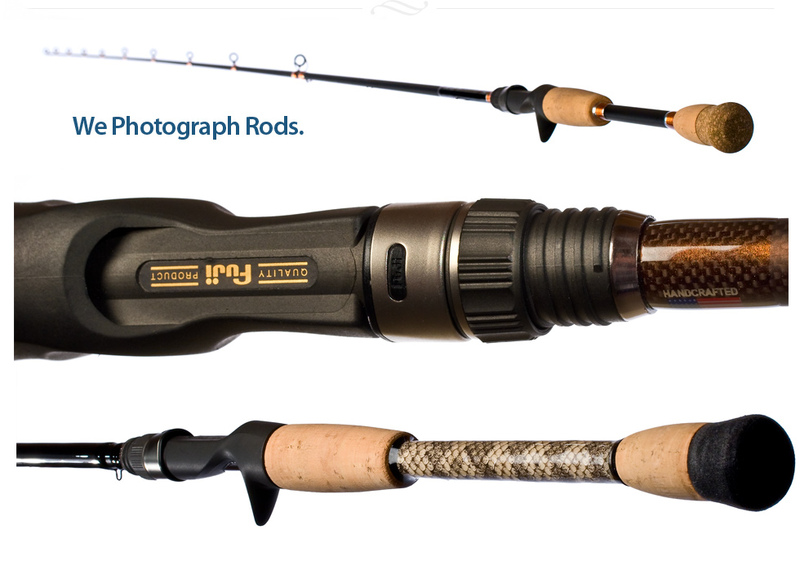 Our price for most fishing product shots is $35 per image. 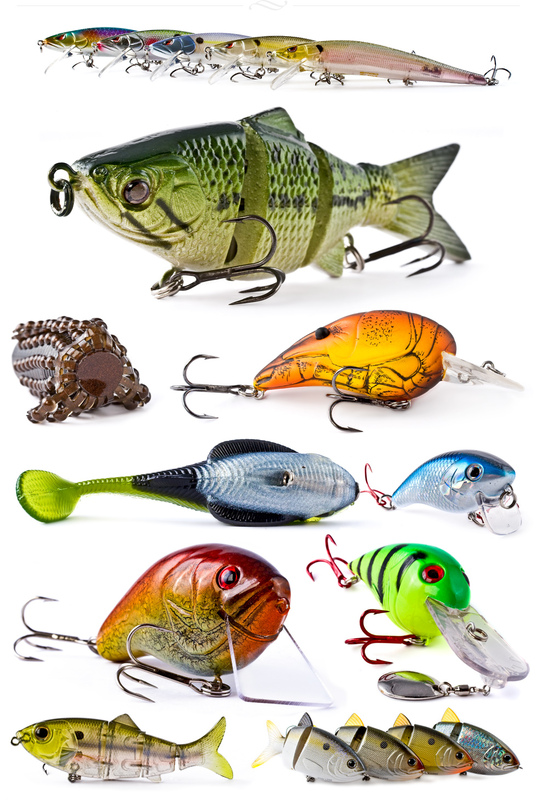 This generally covers all lures, reels, and small to medium-sized tackle/products. Fishing rods cost $45 per image. Clothing and apparel typically are custom quoted since they often require full-length body shots with human subjects. These prices are guidelines and we may quote different prices depending on the subject and difficulty of its photography. But most fishing products will fall under the $35 per image price. There is also a one-time startup fee of $35. You bet we do. The saltwater and fly fishing world needs good product imagery just as bad as the freshwater world does. We shoot anything fishing related. Getting started is easy. Simply email us with a brief outline of what you have in mind and what products you'd like to have killer photos for. You can also call us anytime at 410.451.1830 to discuss the scope of your project or with any questions. Can I order just one product shot? Yes you can. There is always going to be a one-time startup fee of $35 no matter how many photos you purchase however. I can use the images I purchase for anything right? Pretty much anything your heart desires. You can use them on your websites, catalogs, product packaging, etc. You can also lend the images for use to third-parties, like other websites, magazines, tv shows, and so on. The only thing you are not allowed to do is sell the photos on stock photography service websites or photo wholesalers. Do you guys do Image License Agreements too? We do and it's for your protection. It's standard practice in assignment photography and you should be weary of any photographer that doesn't use a License Agreement. You will need to sign the Image License Agreement to legally give yourself the rights to use and distribute the images as you see fit royalty-free in perpetuity. If this sounds complicated, trust us, it's simple as pie. We can explain it to you in more detail anytime. You'll be glad you have it. Are saltwater and fly fishing products allowed? Hmmmm... maybe. Call or email us and we'll let you know. It might be possible. What is the typical turnaround for your product photography? We're pretty quick considering the quality we achieve. Typical turnaround is anywhere from one to four weeks, depending on the scope of the project and products involved. Do you guys shoot products on backgrounds other than white? This would fall under custom pricing, but we sure can. About 95% of our clients want a pure white background to their products, which is smart. But if you desire it to be on black, or any other color, we can most likely accomodate your request. Will I receive the full-resolution versions of the photos? Of course you will. If you desire any "web-ready" sizes as well, we can acommodate you on that too. Are there any additional options I can purchase? We can send you via mail, a copy of your images on DVD for a small fee. Adding type (text) or other decorative graphics to your image can be arranged for a small fee. Need something else, just ask! How do you return the products? We can return your products however you like. You will need to pay the return shipping if you desire to get them back. All images are Copyright © 2009-2019 BassFishin.Com LLC, All Rights Reserved.